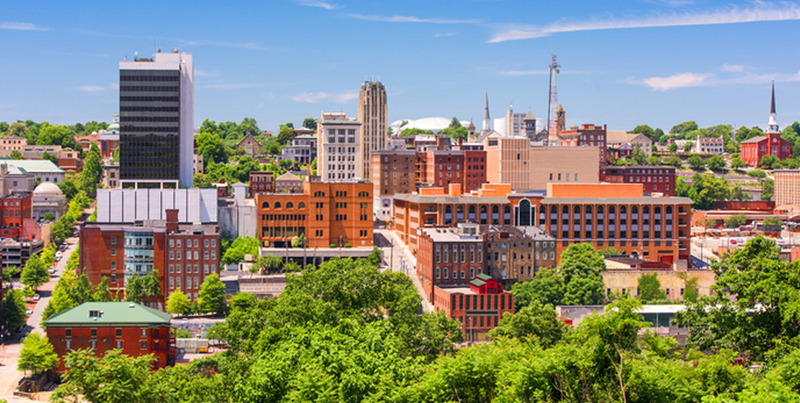 According to Security Choice.com, the city of Lynchburg is one of the top 100 safest cities in the country to retire. Their report says a total of 495 U.S. cities were evaluated on several safety and retirement-focused metrics including FBI City Crime Data, percentage of residents that are of retirement age, healthcare costs, and elder abuse protection laws. 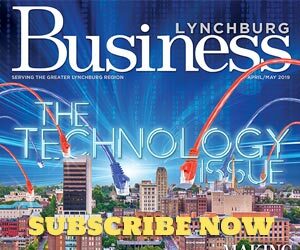 Lynchburg placed in the top 100 as number 88. “It’s a tribute to the tireless efforts of the men and women of the Lynchburg Police Department and our numerous community partners who strive at community building, making Lynchburg a safe place to live, work and play,” said Lynchburg Police Chief Raul Diaz. Only four Virginia localities placed in the top 100: Staunton (#46), Waynesboro (#59), Lynchburg (#88), and Harrisonburg (#97). You can view the full report at: www.securitychoice.com/safest-cities-to-retire. Convergys Corporation, based in Cinncinnati, says its Lynchburg location in the former Kroger on Linkhorne Drive will bring 400 new jobs to the city. The company made the announcement in February, about a year after announcing their plans to open a facility in Lynchburg. Convergys sells customer management and information management products. Following a job fair in March, the first training class for new employees will start in early May and take about six weeks to complete. When BB&T closes its branch in the Boonsboro Shopping Center in May, the building won’t be sitting empty for long. Select Bank plans to expand into the location sometime in the second quarter, pending regulatory approval. Select Bank CEO and Director J. Michael Thomas says they are excited about opening their fourth branch in the Lynchburg market. Employees from the Rustburg-based Lloyd Concrete Services joined together with team members from concrete companies across the U.S. to accomplish a record-breaking concrete slab pour at a General Motors plant in Arlington, Texas. The Detroit-based Barton Malow asked Lloyd Concrete Services to be a partner in the effort—known on social media as the #MegaSlab—in January. The pour began January 13 at 9:30 p.m. and ended on January 15 at 6 a.m. According Chris Hofe, project director for Barton Malow, the pour covered 256,100 square feet to a depth of eight inches. Hofe said they were unable to find a comparable concrete pour of this type anywhere. A local travel agency has announced a first-class upgrade. Connoisseur Travel, formerly known as Travelbugs, specializes in creating memorable, tailor-made vacations for events such as honeymoons, family occasions, travel to exotic locations, cruising and much more. “Our team of vacation specialists will help you create the perfect vacation. We pride ourselves in making any travel dream a reality,” said Scott Masciarelli of Connoisseur Travel. The agency’s current team and location (20334 Timberlake Road, Suite 2) will remain the same. Connoisseur Travel has other locations in Washington, D.C. and Kennett Square, Penn. The $8 million Community Health Center is now open at 800 Fifth Street. The center will serve as a second site of The Free Clinic as well as house the Community Access Network. Patients can receive immediate and primary care services and mental health services. The Community Health Center is the result of collaborative community partnerships including Centra, Hill City Pharmacy, The Free Clinic, Johnson Health Center, Horizon Behavioral Health and the Community Access Network. Pain Care Center Lynchburg is now serving patients at a new and expanded clinic in Madison Heights. The center offers a full range of pain care treatments and procedures including behavioral and addiction counseling. Pain Care Center opened its first location in Lynchburg in 2013. A second center opened in Christiansburg in 2015, and a third location opened in Woodlawn two years later. By partnering with local federally qualified health centers such as Johnson Health Center, Horizon is now offering primary care at the Horizon Wellness Center on Court Street. “This type of partnership increases health outcomes for all of our clients,” said Damien Cabezas, CEO of Horizon Behavioral Health. The Horizon Wellness Center will house a family nurse practitioner (FNP) from Johnson Health Center. The FNP will see any adult outpatient or residential Horizon consumer who wishes to receive primary care. Local resident Nat Marshall will chair the Virginia Board for Workforce Development, according to Governor Ralph Northam’s office. Marshall previously served as vice chairman of the board. Marshall is a senior human resources specialist for BWX Technologies, Inc. He also serves on several boards for local organizations. The Pacific Life Foundation’s 2018 Virginia grant recipients include 13 local nonprofits and 16 schools. Over $80,000 will help local organizations such as Amazement Square, Big Brothers Big Sisters of Central Virginia and Humankind expand their programs and impact in the community. The Pacific Life 3T’s of Education program gave $50,500 in grants to local K-12 schools where concentrations of children and grandchildren of employees attend. The education grants must be designated in one of the following areas: teacher training, textbooks or technology. In addition to those grants, Pacific Life is a sponsor of the Academy Center of the Arts; the Alzheimer’s Association, Central and Western Virginia; and the American Heart Association. Adding to the recent revival on Fifth Street, Grey’s restaurant is open for business at its location near the intersection of Clay Street. Described as an American café small bar, patrons can enjoy lunch/dinner at the restaurant with daily specials and weekend brunch. Grey’s opened its doors in mid-February. Set to open this spring just a couple of doors down is Daughters and Sons Pizza. The pizzeria is located in the former Speakertree storefront. Coffeehouse 5th Street Grind opened last year and restaurant Fifth and Federal Station opened for business in December 2016.